Emissions from stationary internal combustion engines are regulated by the Environmental Protection Agency (EPA) as well as State and Local air quality authorities. 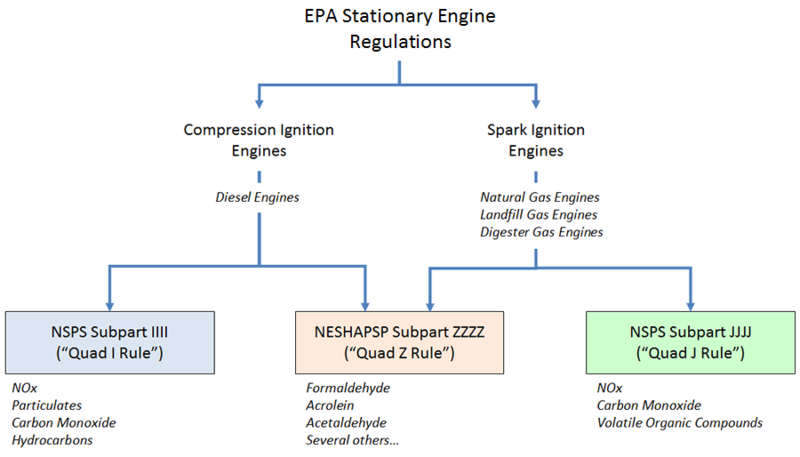 At the Federal level, the rules depend on several factors such as fuel type, power output, and application. To see which rule pertains to your situation, see the chart below and the click on the applicable regulation (the colored boxes) for more information.